The New Balance Arch Support Insole is designed with an anatomically shaped arch and heel cradle. There is a full length layer of ABZORB® cushioning and an anti-blister top cover that is treated with an antimicrobial agent. 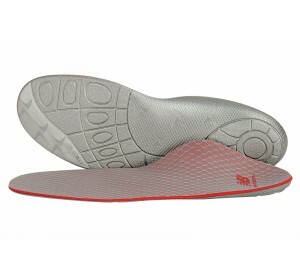 This insole will fit in all athletic shoes and many casual or dress shoes. Wearing this support may also give some relief from the pain of Plantar Fasciitis.